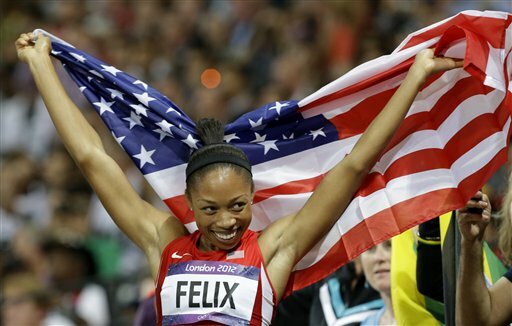 Allyson Felix captures the 200 meter race. Usain Bolt of Jamaica won both the 100 and 200 meter races. 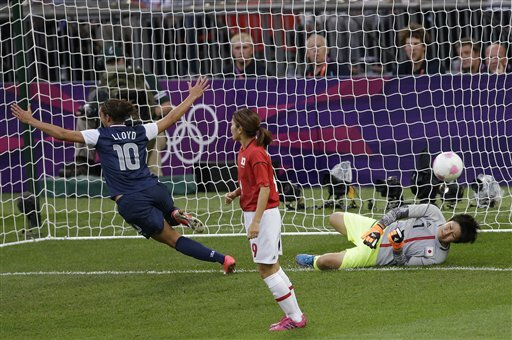 Carli Lloyd scores in the U.S. soccer win over Japan. Are you still in an Olympic coma this morning? I bet several employers are happy to see the Summer Games wrap up. Now maybe you’ve had a peek into what a sports reporter has to deal with day in, day out: The sporting world rarely has a day off. True, it’s not normally this intense, but there is a constant, seemingly endless stream of games, practices, pre-game chatter and post-game analysis that a sports reporter encounters. Not that I’m complaining; you have to really love it all to do what we – happily – get to do. Yes, there were spoilers with the results, but somehow we all survived, and many of us still watched the events on NBC at night. Last Sunday, during the White Sox game, I watched Usain Bolt blow past his counterparts to claim gold in the 100 meter race. Then, I watched it again that night. Watching excellence is always thrilling, even more than once, even if it is taped (plus then if I want I can turn the sound down). 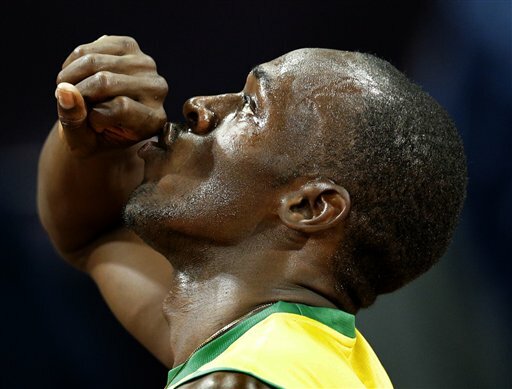 Bolt worked his magic again in the 200 meter race, becoming the first Olympian to defend both sprint titles. If I can hand out a gold medal for coverage it would be to WBEZ’s own Kate Dries for all the time and effort she put into blogging the Olympics these past few weeks. I hope she has a swift recovery from her Olympic coma! 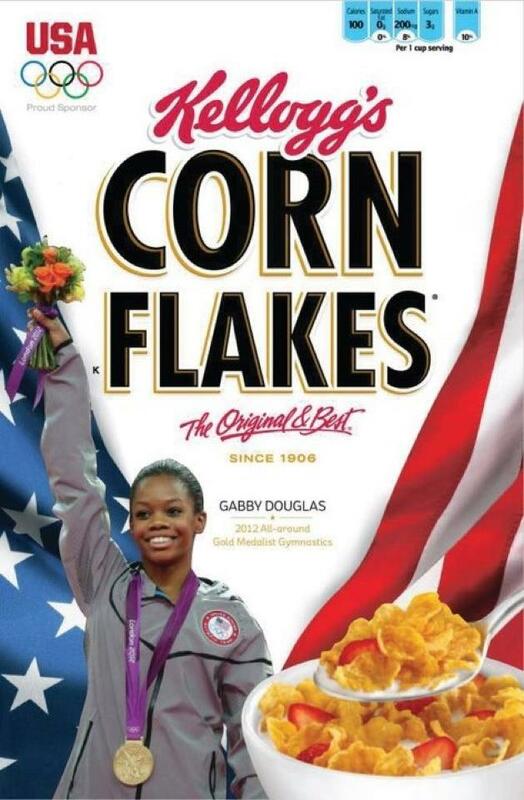 Watching Michael Phelps destroy the record books by claiming his final gold and last Olympic medal in the 100 meter medley with Lake Forest native Matt Grevers; seeing the beaming smile of Gabby Douglas after she captured the all-around gold medal in gymnastics – Kellogg’s quickly put her on their corn flakes box hours after she won, despite the weird controversy surrounding her hair (There was another Kellogg&apos;s box feature all five gymnasts). It was a difficult Olympics for reigning World Champion Jordyn Wieber, who was unable to qualify for the all-around competition. But she showed her mettle by scoring big for the team gold. How could you possibly label her a loser? Then, how about the negative spotlight on Lolo Jones? The American hurdler came in fourth just a year after having spinal fusion surgery. Her pre-Olympic media coverage rubbed her teammates and others the wrong way. Sometimes media darlings are knocked off the pedestal as quickly as they were put there. Sometimes it&apos;s annoying to watch family reactions in sports, but the viral video of Aly Raisman’s parents was great. They squirmed, grimaced and occasionally shouted at their 18-year-old gold medalist. But personally, I don’t know how fun it is, really, to watch sports parents like that; I find it too intense. It took a woman, Claressa Shields, to bring home boxing gold for the first time since 2004. Not only did the 17-year-old win her bout, it was the only medal for the American boxers; the men were shut out for the first time in Olympic history. During an interview with NBC&apos;s Willie Geist, the Olympic champion said, "I just love fighting. And I love beating people up." It may be blunt, but it was honest. She may be the toughest person from Flint, Michigan. How about the shrewdness of American soccer star Abby Wambach? She counted the length the Canadian goalie held the ball ear shot of the referee throughout the game. Eventually the refs realized she was right and after some warnings did access a penalty; the eventual result was a game-tying goal and a U.S. win. The ladies went on to avenge their World Cup loss by defeating Japan 2-1 to win the gold in front of a crowd of over 80-thousand fans and millions of viewers. How many little girls watched that game and now think they could be an Olympian in four or eight years from now? There are probably several other sports that have now inspired boys and girls. Poor sportsmanship will happen in these kind of completive arenas but the men’s basketball had some of the worst offenses: punching men in their privates. Really? Yes, really. France and Spain had an incident and American player Carmelo Anthony was on the receiving end of a shot by an Argentinian player. Your heart goes out to a competitor who suffers misfortune but still perseveres. This time around it was China’s Liu Xiang in the men’s 110 meter hurdles. He tried to race with a bad Achilles and fell at the first hurdle. Not deterred, he got up, limped to the end and kissed the last hurdle. The other competitors helped him off the track. Then there was American runner Manteo Mitchell, part of the 4 x 400 relay team. He raced in the qualifying heat with a broken leg but was able to hang in to get the baton to his teammate Josh Lance. Throughout the Olympics there are stories of struggles, obstacles and sheer determination. Although we glorify the athletes who win gold, every competitor can call him or herself an Olympian. That’s something I imagine most of us wish we could be called — I know I do.